A haunting debut set in the harsh, beautiful landscape of Ireland's north coast. Patrick Jackson lies on his deathbed in Derry and recalls a family history marked by secrecy and silence, and a striking absence of conventional pieties. He remembers the death of an eight-year-old girl, whose body was found on reclaimed land called Inch Levels on the shoreline of Lough Swilly. And he is visited by his beloved but troubled sister Margaret and by his despised brother-in-law Robert, and by Sarah, his hard, unchallengeable mother. Each of them could talk about events in the past that might explain the bleakness of their relationships, but leaving things unsaid has become a way of life. Guilt and memory beat against them, as shock waves from bombs in Derry travel down the river to shake the windows of those who have escaped the city. 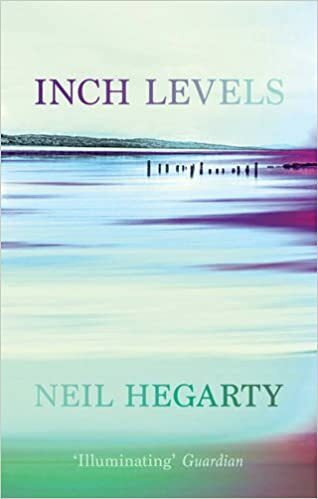 The prologue sets the scene in this book Inch Levels by Neil Hegarty. It is 1983 and a young girl is first missing and then found dead. In the present time Patrick is dying of cancer in bed in hospital. In his thirties he is reflecting on his life. We get to know Patrick’s family as they come to visit him. In the main this book revolves around the lives of Patrick, Margaret, his sister, and Sarah, their mother. Incidents in their lives are explored, sometimes from more than one perspective. This is no doubt that their lives hold secrets from the past. These experiences have influenced them as individuals as well as affecting the family as a whole. The writing is very descriptive and draws effective pictures of Ireland. Not only are there tales of family life but also of the “Troubles” and how they have touched those in this story. Inch Levels itself does feature in the book from time to time and there is a poetic feel to the writing. As the threads from the individual stories come together the culmination of this story is both bleak and powerful and understated. For me this is a book to be patient with and savour. It does travel slowly and I can understand if some might criticize the pace however the writing has quality and depth.